Great Scot! It's a Bat House, home to those mosquito-eating mammals that fly. 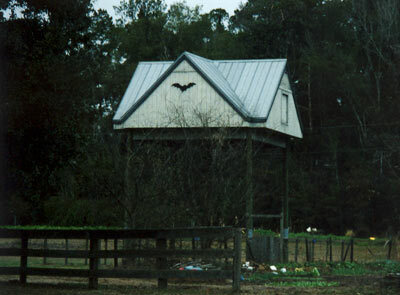 The Bat House stands in a space used by students to grow their own vegetables. It's across Museum Road from Lake Alice, just west of Corry Village, one of UF's family housing villages. Back to the Photo Gallery main page.